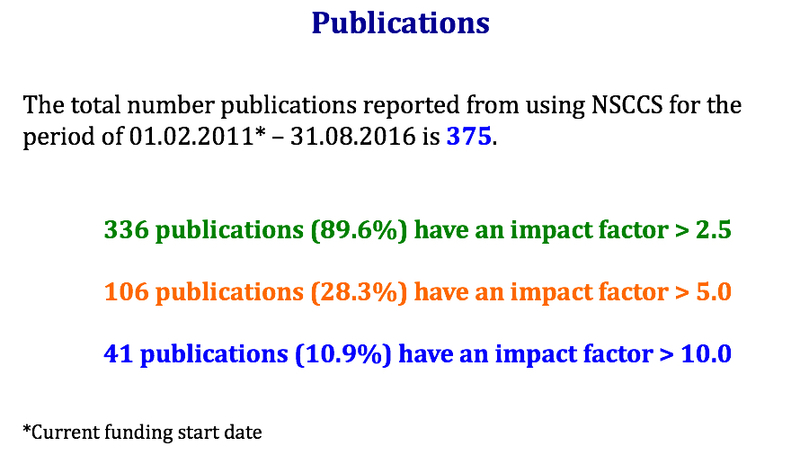 Below are key outputs from NSCCS projects, training and publications reported by users during the current funding period (01.02.2011 to 31.08.2016). 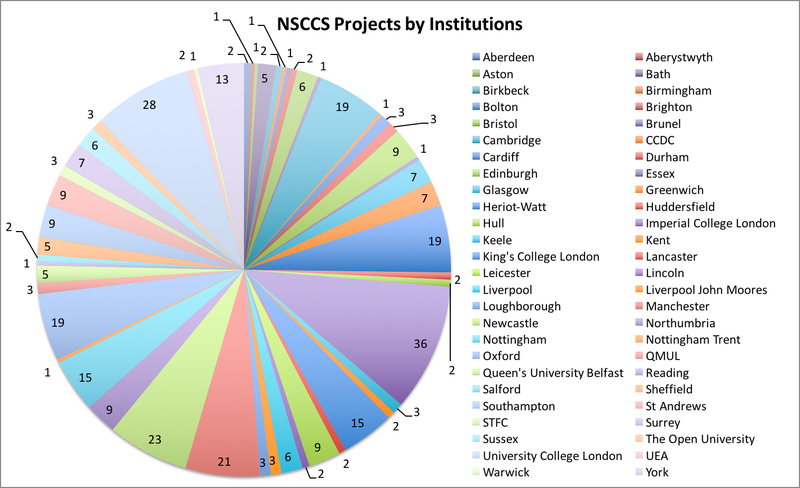 Since the start of the current service (01.02.2011 to 31.08.2016), there are 361 NSCCS projects from 168 separate research groups from 52 institutions, with a total of 672 unique users. 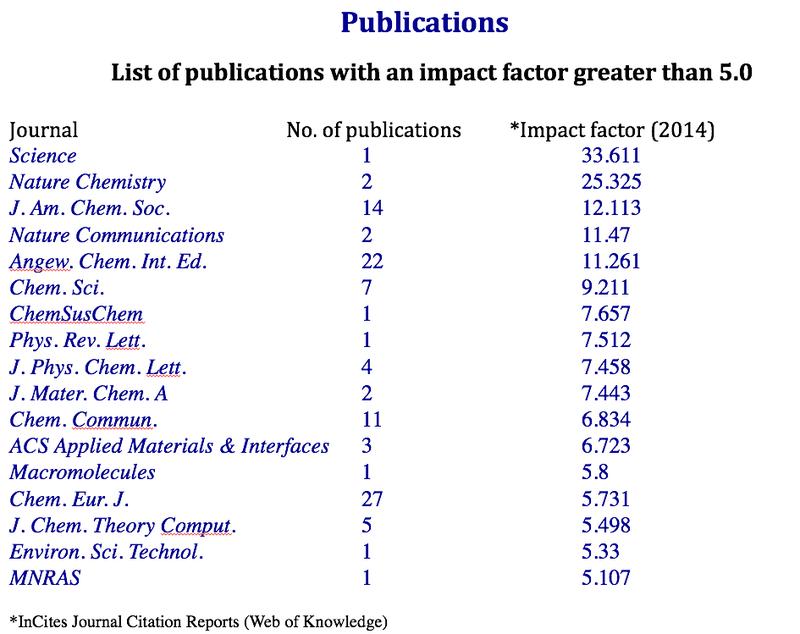 The NSCCS hosted 4 User Meetings, 23 workshops and 262 1:1 trainings at Imperial College. 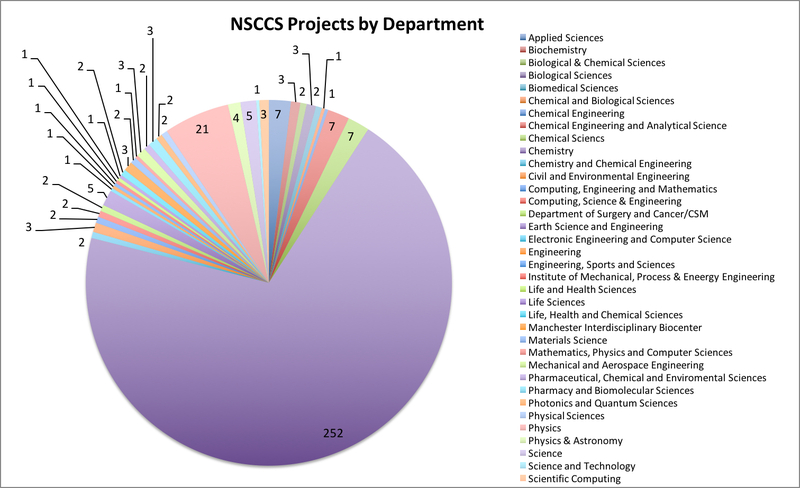 The NSCCS trainer visited 36 user sites and conducted 146 web trainings.